Research shows that relationships with coworkers matter. The more you interact with your counterparts, the better your physical and psychological health and the more engaged you are with your job. However, getting to know your coworkers is no small task. Between back-to-back meetings, deadlines and long to-do lists, there’s little time left to forge important social bonds with your direct peers – let alone other employees who may be across town or hundreds of miles away. Technology can help organizations move beyond human limitations like geography, which is why it’s important to invest in solutions that foster and maintain social connections. As organizations of all shapes and sizes struggle to curb employee turnover, technology enables cultural improvements that keep employees engaged. When it comes to meeting employee needs, it’s easy for HR teams to feel like the cards are stacked against them. Already, two-thirds of millennials expect to leave their current organization by 2020. This is no surprise when you consider that just 34% of US employees currently feel engaged at work. In 2016, Gallup found it was just 29% for millennials. To solve for this lack of engagement, many organizations prioritize improvements in areas like compensation and benefits. Monetary perks certainly motivate workers, but they’re hardly long-term solutions. It’s easy for employees to seek out jobs at other organizations that offer similar benefits. What competitors can’t replicate, however, is a strong company culture. More specifically, a culture that offers opportunities for employees to build connections with their peers and develop close ties to their workplace. In many organizations, leadership is already aware of the need to empower employees to speak up and feel a part of the company’s social fabric. But organizations, and especially HR departments, can use technology to offer employees a place to exercise their voices and act on great ideas every day. As individuals, we place a great deal of value on the technology that helps us build and maintain relationships in our personal lives. As life changes, technology is one of the best options to feel close to the people that matter most to us. Technology in the workplace can have a similarly positive social impact, helping employees interact, feel valued and develop personal, lasting connections with their coworkers and companies. Unfortunately, many organizations leverage technology strictly for processes that do little to improve culture. Your company may invest in solutions that streamline operations or engineer more enjoyable customer experiences, but does your workplace also seek out technologies to develop a digital internal employee experience and act as cultural advocates? Whether employees want to build reputations for having certain skills, keep updated on important company information, drive change or offer feedback, technology helps people voice their desires, feel part of a larger community and find the appropriate routes to achieve goals. These touchpoints function like interactions with friends and family via text or social media, where technology inspires closer bonds. Because digital solutions operate across multiple devices, technology amplifies your culture’s accessibility and makes it mobile and ubiquitous. When you embed technology into company culture and digitize interactions, your organization functions like a living organism that can learn and grow. Technology lays the foundation for a networked, adaptable organization that’s in tune with the needs, desires and strengths of its employees. It’s hard to overstate the value this type of company orchestration brings to employee happiness, fulfillment and retention. The ability to surface data from social interactions is a major advantage for all organizations, but especially those that manage teams across different offices and geographies. For instance, it’s tough to integrate a new office into your larger organizational culture. Your gut instinct may be to send employees with a specific title to manage the chaos. However, peer-recognition technology can surface the people with the right skills to facilitate an office integration, not just those who occupy the right roles. To identify those unsung heroes, you can turn to data-based insights, like employees who receive praise from their peers most often. When data is in the mix, technology helps organizations address all kinds of new operational challenges, HR and beyond. This includes roadblocks like heightened and unexpected customer expectations, changing workforces with unique needs or competitors rolling out new offerings. It’s no surprise organizations struggle to overcome these issues when everyone is on a different page. 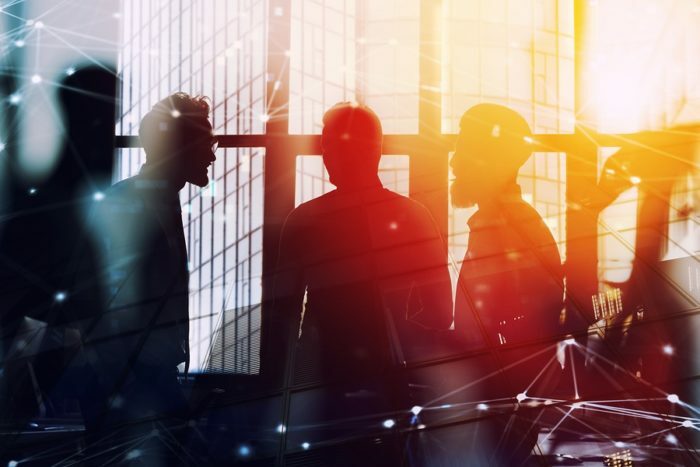 Fortunately, the right technologies move companies away from rigid hierarchies that reject collaboration and toward fluid, holistic entities where social connections lead to data-driven success. This is an ideal outcome for modern organizations. HR departments earn the social improvements required to keep employees engaged and invested, and the overall company develops a positive workplace culture primed for success.